What Are 'Points' On The Walking Dead? WARNING: Major Spoilers For The Walking Dead Season Seven! On the most recent episode of The Walking Dead, we learned quite a bit about Negan's home base, The Sanctuary. The Sanctuary is a community hidden inside of an old factory, and Negan rules his people with an iron fist. There is little food for those who aren't on his good side, and all of the more attractive women are chosen to be Negan's wives. When Negan was telling the story of Dwight and his wife, he mentioned many of these things. He said they both used to work for points, and that he almost killed Dwight after being disobeyed. Now that Dwight is a loyal soldier, and Sherry married Negan, neither one of them have to use points anymore. So, what are points exactly? It's pretty simple actually; points are Negan's currency in The Sanctuary. Since there is no need for money anymore, many people have gone back to the bartering system. Since Negan doesn't give out much to his people, he uses points to put them all on an even playing field. If you do something good, for Negan or for the community, you're rewarded with points. 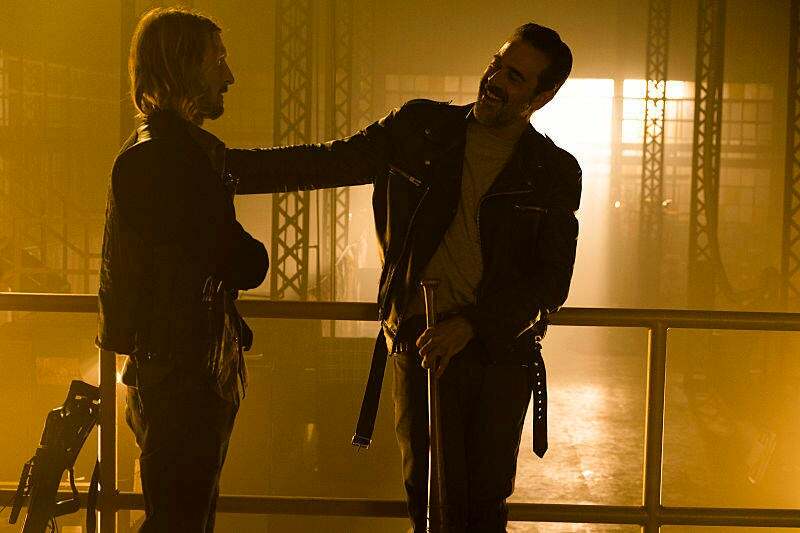 If you do something that Negan isn't a fan of, you get points taken away. That's all there is to it. If you want to buy some bread, you have to spend your points. If you want to watch TV, you need to use points. The only exceptions to this rule are Negan's wives, and his important Saviors. For example, Dwight doesn't have to use points, he can take what he wants. Same goes for Sherry. The two still have to follow the other rules, but there is no need for them to earn their privelages anymore. It sounds like a cruel system, but it's been effective for Negan so far. The Sanctuary is run more like a communist regime, and history tells us that those can only work for so long. The Walking Dead returns on Sunday, November 13 at 9pm ET on AMC.